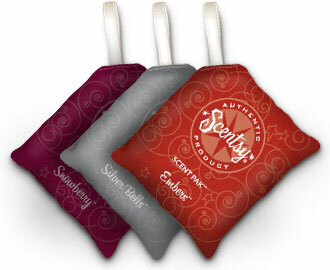 Celebrate the most wonderful time of the year with Scentsy gifts that are sure to make every season bright. From beautiful Scentsy Warmers and long-lasting home fragrances to captivating Solid Perfume and cuddly, fragrant Scentsy Buddy friends, I know you’ll find something special for everyone on your Christmas gift list. Start shopping now and receive your gifts for Christmas with plenty of time to get them under the tree, while avoiding the Christmas rush and long lines. The Time for Holiday Cheer Is Here! What would the holiday season be without a wreath of holly berries adorning the front door or a garland draped across the mantle? 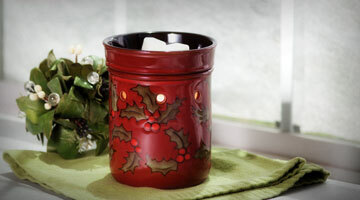 Merry Berry celebrates a delightful symbol of the winter holidays, red holly berries and festive green leaves. Or maybe you’d like to pay homage to your reason for the season: Silent Night and Menorah offer soft elegance to enhance your holiday traditions. And the perfect Christmas gift for the littlest ones on your list? Pooki is the perfect snuggle Buddy—warm, white, and oh-so-fluffy (not to mention smells sooo good with his Scent Pak). The weather outside may be frightful, but that doesn’t mean you can’t enjoy a bit of the white stuff! When it’s simply too cold to brave the snow—or if you live in a place where it doesn’t ever seem to fall—warm Whiteout Scentsy Bar and envision tall snowmen and salty sidewalks without feeling the need to bundle up. This Scentsy fragrance is an exhilarating blast of cool peppermint and sweet, golden apple over frosty winter pine, and smells wonderful long after the winter chill leaves the air. Perfect during the Christmas season, and through the whole winter. This season, Scentsy introduced seven NEW Fall/Winter Scent Paks to help bring your Scentsy Buddy to life and add comforting fragrance to drawers, closets, and bags. Toss Cozy Fireside or Embers in your bedroom bureau for a rich helping of sultry spices. Hang Silver Bells or Eskimo Kiss from a doorknob or slip aromatic Festival of Trees in your car. For the perfect hint of holiday warmth, stuff a stocking or two with Christmas Cottage or Snowberry and enhance that early morning spent opening gifts around the tree. 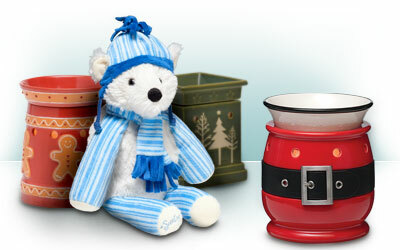 Browse the full Scentsy Holiday Catalog here. For more gift ideas, call or email me today! Happy Holidays from my home to yours!